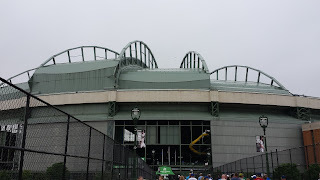 Our annual trip to an away Nationals series landed us in Milwaukee and Miller Park, the home of the aptly named Brewers. As the name suggests, the city has a rich brewing past as well as a vigorous and thriving local craft beer scene. Unfortunately this vigor doesn't apply in the ballpark. 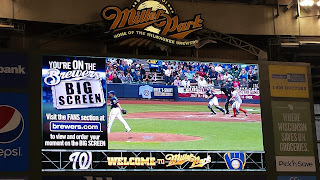 Aas the name suggests, MillerCoors products are centrally featured throughout the ballpark and that lineup includes Wisconsin's Leinenkugel Brewery. Sadly, a brewery with 150 years experience releases the awful Summer Shandy and a putrid IPA, which I believed was mislabeled. It was overly malty and sweet with just a handful of bitters and zero aromatics. Miller High Life is a better option than these Leinie beers. As for craft beers, TGI Fridays in center field is your best option, with a range of crafts including several from local Lakefront Brewery. Their IPA rocks and the Riverwest Stein Amber Lager isn't bad. The New Glarus Brewing Spotted Cow Farmhouse Ale is also available at Fridays as well as a beer stand located at first base on the lower level. This stand also sold a few Lakefront products and because of this selection, had the longest lines at the park. 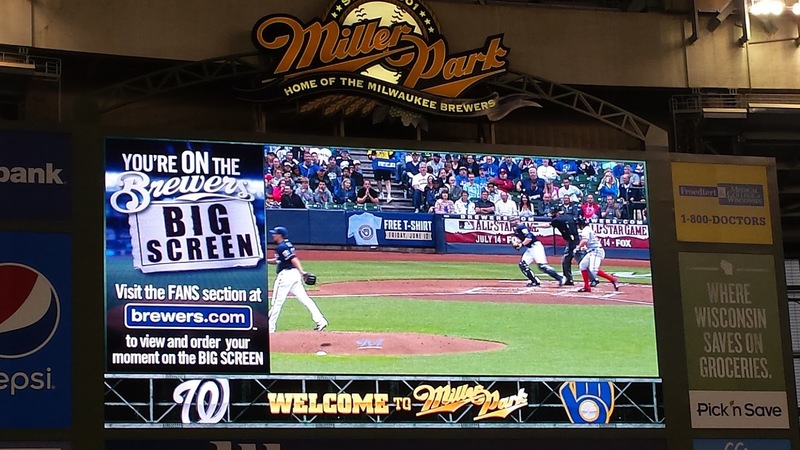 Ironically the "craft beer" stand on the third base side sold Miller Lite and Coors Lite. 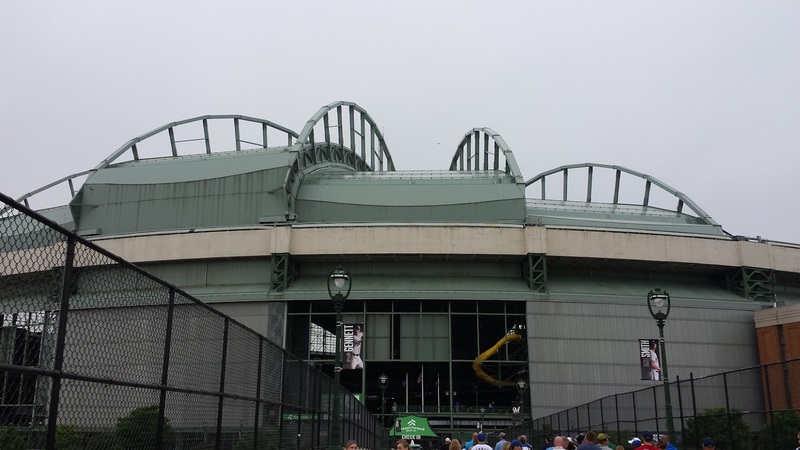 That basically epitomized the craft beer experience at Miller Park.